Complete with a cushy headrest and an adjustable footrest, the Air Pod Hanging Chair lets you get off the ground and enjoy complete relaxation at the campsite or in the backyard. The ENO DoubleNest Hammock is light, compact, sets up fast and has lots of room for 2. 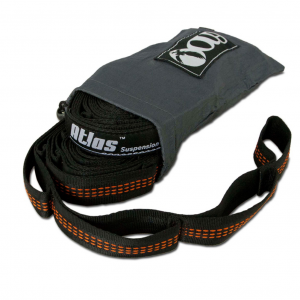 For each ACT hammock sold, ENO donates $10 to the Appalachian Trail Conservancy helping to preserve our trails. 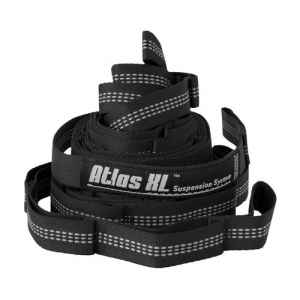 These strong and powerful duotone straps create a hammock suspension system that supports up to 400 lbs. and makes setup and take-down quick and easy. 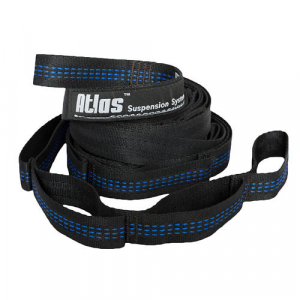 The tree-friendly Atlas EXT Hammock Utility Straps extend any ENO suspension system (sold separately) an extra 54 in. of length and open the doors to new hanging locations. The Billow Air Lounge from ENO puts a spin on nomadic comfort: behold, an inflatable couch built for the outdoors. Includes two stakes to keep it secure and a patch kit for lounge emergencies. 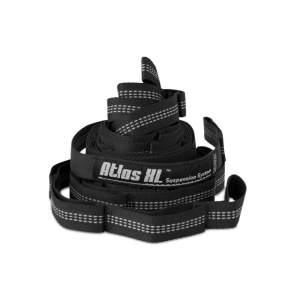 No more stowing away your hammock when winter comes roaring through. This ENO Blaze(TM) underquilt is packed with down to keep you warm while the cold season offers up all-new adventures.